Close Coupled Vertical In-Line Armstrong Industrial Pump Selangor, Malaysia, Kuala Lumpur (KL), Rawang Supplier, Supplies, Keylargo Industrial Sdn. Bhd. 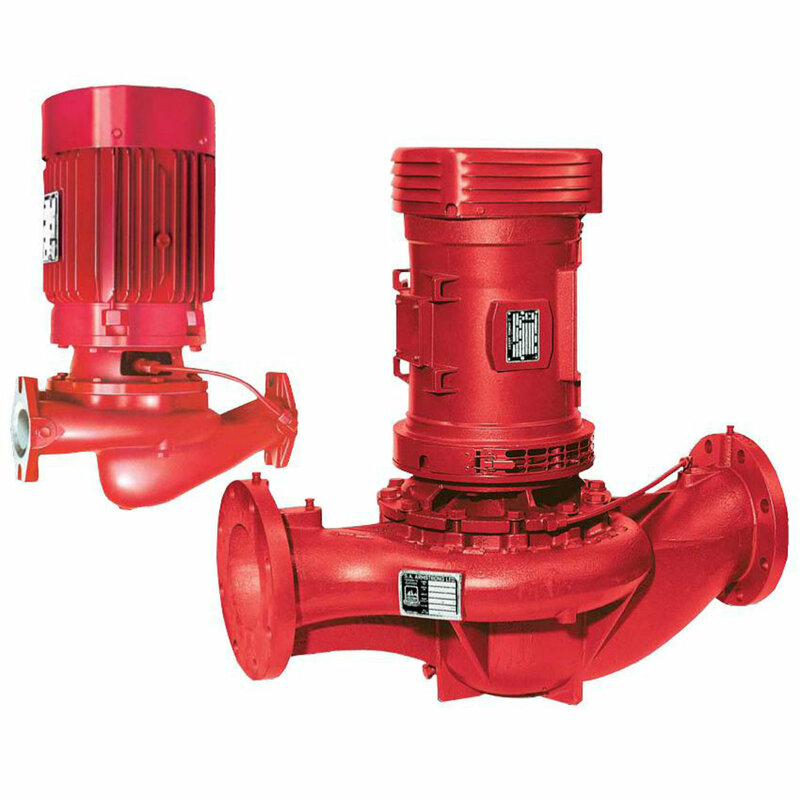 Armstrong’s close-coupled vertical in-line pump features economical inside-type, single-spring mechanical seal, serviced by removing the rotating assembly while the pump casing remains in the line. Dynamically balanced impeller assures smooth, vibration-free operation. Radially split volute with equal suction and discharge flange sizes. Separate tapped openings for gauge, flush and drain connections. Available in bronze fitted, all bronze, and ductile iron construction.